It's All About the Troops! 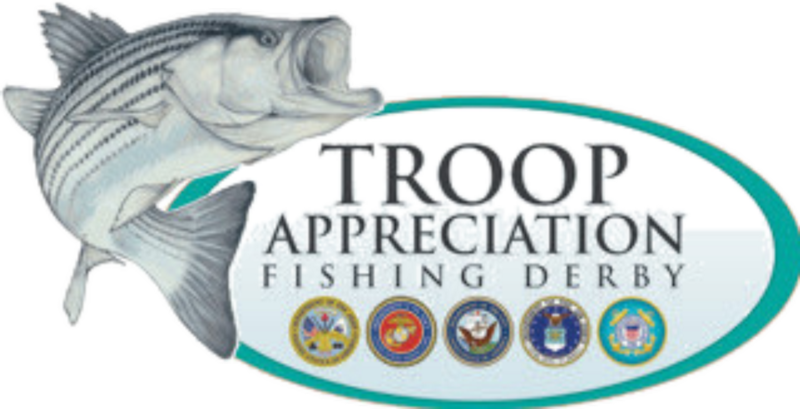 "We consider it a honor & privilege to have an opportunity to organize the Troop Appreciation Fishing Derby. Thank You to the men & women of America's arm services - GOD bless you!" "Our heroes are those who risk their lives every day to protect our world and make it a better place - Our Armed Forces & First Responders." 2017 - Law Enforcement Fishing Round Up (31 DNR & Deputy Sheriff's). 2018 - 69 wounded warriors participated with 22 volunteer captains with fishing boats, 272 striped bass caught. “If I could get some friends to donate a day of service taking troops fishing could you get soldiers to go?" The answer was a resounding YES! As a result, 15 boats outfitted by local fishermen took 43 troops on what turned out to be the first annual fishing trip. Pictured here are Colonel Christopher R. Forsythe (center) & two officers that were on the fishing trip that led to annual event. 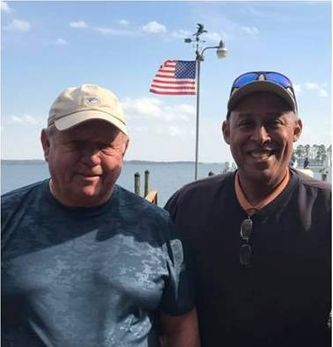 Serving Veterans on Lake Murray, Columbia, South Carolina.